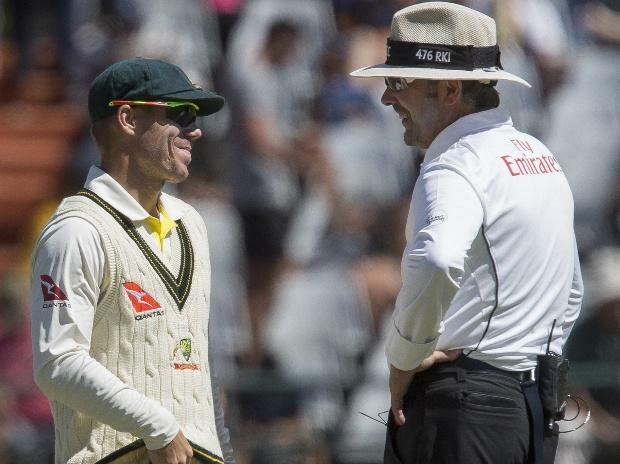 Cricket Australia is expected to come out with the results of an investigation into the ball tampering scandal involving Steve Smith, David Warner and Cameron Bancroft on Wednesday. As such, the three players will be sent home in the ‘next 24 hours’, according to the Aussie cricket board chief James Sutherland. He added that the players will be penalised with sanctions that will ‘reflect the gravity’ of the situation. Tim Paine, a batsman with only 10 test caps, has been appointed the new skipper of the side. Matthew Renshaw, Joe Burns and Glenn Maxwell will join the team in South Africa to replace the disgraced trio charged with ball tampering. Steven Smith and David Warner, formerly captain and vice-captain of Australia, have been banned for 12 months by Cricket Australia for their roles in the pre-meditated plan to tamper with the ball on the third day of the Cape Town Test against South Africa. Cameron Bancroft, the player to actually tamper with the ball, has been banned for nine months. 2) Smith, Warner, Bancroft sent home: Cricket Australia Chief Executive Officer James Sutherland announced on Tuesday that Steve Smith, David Warner and Cameron Bancroft will return home and will not play the fourth and final Test match against South Africa that starts on Friday. Coach Darren Lehmann will continue in the position as he had no knowledge according to CA’s preliminary inquiry. Matthew Renshaw, Glenn Maxwell and Joe Burns have been named their replacements. 3) Steve Smith stepped down as Rajasthan Royals captain: Steve Smith yesterday decided to step down from Rajasthan Royals’ captaincy in the wake of the of severe backlash he has faced after admitting to ball tampering during the third Test against South Africa. The decision was on expected lines the moment Cricket Australia indicated that harsher penalty was on cards for Smith and Co for their role in an episode that has shaken Australian sporting fraternity. 4) Ajinkya Rahane to replace Steve Smith: Right-hand Indian batsman Ajinkya Rahane will replace Steve Smith in the upcoming season of the IPL. “Ajinkya Rahane has been an integral part of the Royals family for a long time now and he understands the culture and values of our team. We have absolutely no doubt that he will be a great leader of the Rajasthan Royals,” Zubin Bharucha had said.